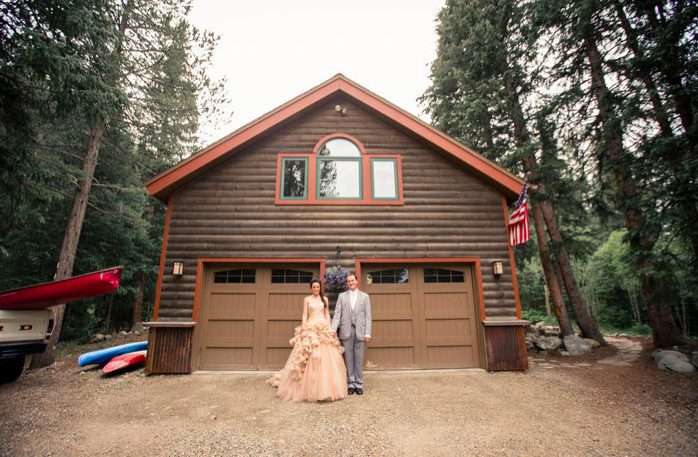 Take one look at these photos and you'll realize why we're gushing over this Colorado mountain wedding of Anna Bé bride Jaclyn. Jaclyn looked absolutely stunning in her Hayley gown by Vera Wang. 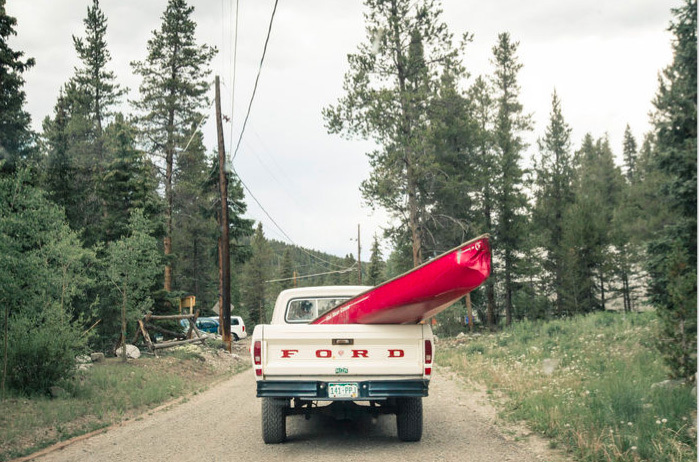 This beautiful outdoor wedding (photographed by the always amazing Zorn Photography) in Blue River, Colorado is proof that Vera Wang looks fabulous outdoors in the mountains, in an old ford and even while taking a canoe ride. And we love the personal touches, like a PBR cake for the guys and cute matching purple onsies for getting ready in for the girls. There was even a popcorn snack station and cigars for the guys for the reception! 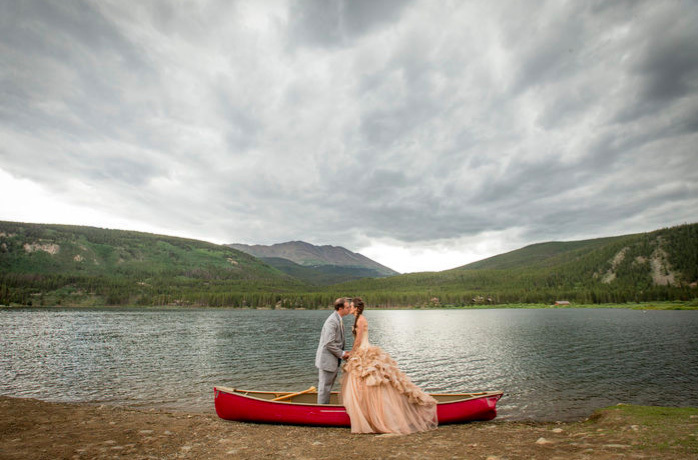 Click an image below to get a closer look at this amazing colorado wedding and Vera Wang dress below!